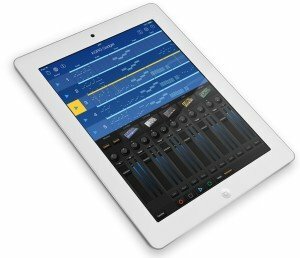 Korg has announced its “all-in-one music production studio” for the iPad. In 2010, Korg launched the iELECTRIBE alongside the first iPad. Now, Korg offers Korg Gadget – a single package for your iPad. Korg Gadget offers 15 compact synths and drum machines, and the interface is designed both to make it easy to find the sounds and effects you want, and make it easy to produce great sounds even if you don’t play a traditional instrument. Gadgets can be run simultaneously (depending on the power of the iPad – the latest version can run up to 20 at any one time) and the portrait-aligned interface is split across the middle to allow “song creation” and “sound creation” to be accessed simultaneously. Korg Gadget works well as a mobile DAW, and as cloud storage and social interaction are still huge buzzwords, you probably won’t be surprised to know that GadgetCloud lets you share songs with other users. *Since this will differ depending on conditions such as the type of Gadget and the polyphony, this is only an approximation. *For the ideal experience, we recommend that you use this with the most recent iPad. *The Freeze function allows you to conserve CPU power and use a larger number of gadgets simultaneously. Audio Export: Song exporting is supported. Uploading to SoundCloud and Dropbox are supported.